Rollin' down the river with Proud Mary and her krazy krewe! : Fiesta for Liam! My friends Ann and Jenny threw Liam and I a get together this past weekend. It was a lot of fun and Ann made some delicious shrimp tacos. 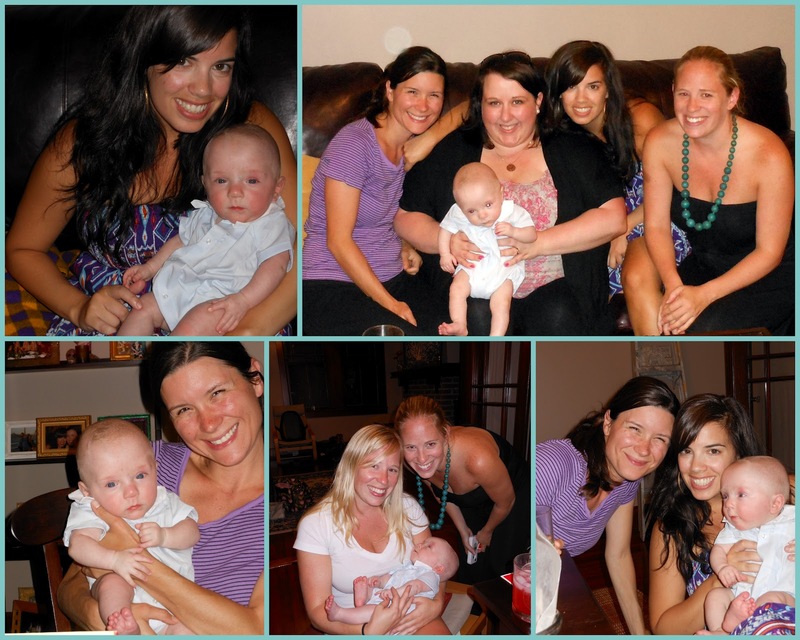 It was a celebration of Liam being out of the NICU and just us girls getting together. We sipped on yummy frozen margaritas and played a few rounds of Apples to Apples (which is a fun game by the way!). My friends also gave Liam and I some goodies! Liam is set for his solid feedings with new spoons and bowls. I lucked out with a Starbucks gift card and massages! Score for us both. I had a great time and am fortunate to have such sweet friends. Thanks y'all!